Create a New Crepe Flavor for The Crepe Club! 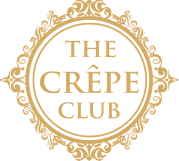 ​The Crepe Club is looking for new crepe flavors and wants its guests and crepe fans everywhere to help. Its Let Them Eat Crepes Contest is asking people to submit their ideas for crepe flavor combinations from April 10 – May 31st. The winning entry will not only get bragging rights, they’ll also see their creation on The Crepe Club menu AND get a Crepe Party! Winner: Crepe Party for 20 people! Submit your crepe flavor idea using the form below from April 10 - May 31st. Make sure to submit a short description of the crepe including the ingredients and also name your crepe. Feel free to also upload an image of your crepe that we can include during voting! On June 1st, The Crepe Club will reveal the Top 7 nominations and ask people to vote on which flavor name and description they like best on our Flavor Voting Page. Voting will run from June 1st - 15th. Then it gets really fun. The Top 3 will have their crepes on the menu at The Crepe Club’s three locations from June 19 – June 25. On June 26 the top seller will be crowned the winning crepe flavor. The winner will receive a crepe party for 20 people. Second place will receive a $100 Crepe Club gift card. Crepe flavors can be sweet or savor and will be judged on creativity, tastiness and feasibility to make in a restaurant setting. The contest has ended, go to thecrepeclub.com/vote to pick a winner!